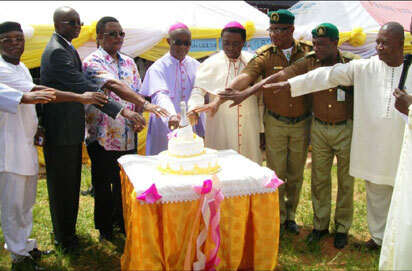 AS Christians commemorate the birth of Jesus Christ, the Metropolitan Archbishop of Onitsha Ecclesiatical Province and Archbishop of Onitsha Catholic Archdiocese, His Grace, Most Rev. Valerian Maduka Okeke; Governor Ugwuanyi of Enugu State and Vice Presidential candidate of Peoples Democratic Party, PDP, Mr Peter Obi have charged Christians to always practice justice and charity in their life time. 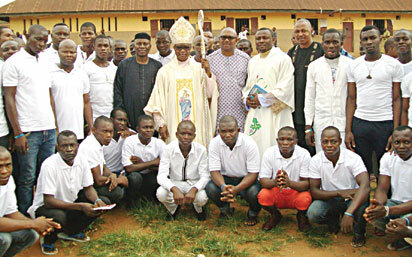 THE Metropolitan Archbishop of Onitsha Catholic Archdiocese, Most Rev Valerian Okeke Saturday ordained11 new priests. NIGERIANS have been charged to be part of solution to the country’s myriad of problems and not a part of the problems .